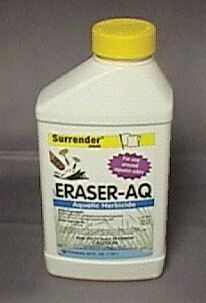 PRODUCT DESCRIPTION: Liquid herbicide which can be sprayed on weeds growing along the shore, in the water and even for weeds fully emerged under water. 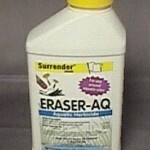 WHERE TO USE IT: It can be used for above ground dry land weeds or weeds growing out of water or in the water. RATE OF APPLICATION: This will vary from weed to weed. One quart will cover up to 1-2 acres depending on the target weed.